"Her Story": A Special Women's History Reception and Celebration Y-12 New Hope Center 602 Scarboro Rd. an event hosted at the New Hope Visitor Center in Oak Ridge, Tennessee. The event will include the opening of a photography exhibition of women in the Secret City and a presentation to the Manhattan Project National Historical Park of a biscuit pan, used secretly by Mrs. Kattie Strickland, an African-American from Alabama who moved with her husband so he could work at Oak Ridge. The pan was made from metal scraps, and Mrs. Strickland made biscuits for the guards to request more time with her husband, as the site was segregated and African-American men and women were not allowed to live together. 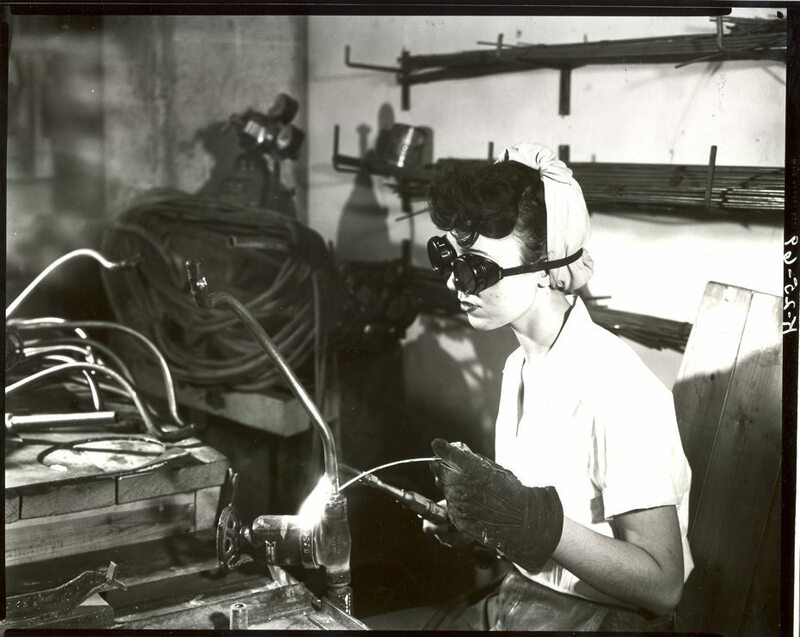 As part of Women’s History Month and the 75th Anniversary of Oak Ridge, there will be a special Manhattan Project event on Thursday, March 22 starting at 5:30 pm (ET) at the New Hope Visitor Center, in Oak Ridge, Tennessee. During the event Manhattan Project National Historical Park will be presented with a biscuit pan secretly used by Mrs. Kattie Strickland during the Manhattan Project. The biscuit pan is an important cultural artifact for the park that can help provide context of the story of a woman who worked on the Manhattan Project.